Stirling, Scotland, 24 May 2018 – Geographic information and technology specialist thinkWhere is supporting the global humanitarian Missing Maps project by hosting a series of mapathons in Stirling, Scotland. In the evening of 13th June 2018, around 50 local community volunteers, including members of the thinkWhere team, will collaborate on a crowd-sourced Missing Maps data capture project. The fourth event of its kind organised by thinkWhere, it will be the first to be held at the company’s new premises at CodeBase, Stirling. Geographic areas involved in Missing Maps projects are typically those that are vulnerable to natural disasters, conflict and disease epidemics. Recognising the most crisis-prone parts of the developing world are missing reliable topographic information, the Missing Maps project captures OpenStreetMap data for humanitarian purposes. OpenStreetMap provides worldwide coverage digital mapping, is free-to-use, highly accessible and can be used without restriction and therefore provides a common source of information, eases collaboration, and gives a much clearer understanding of where critical infrastructure and roads are located in affected areas. 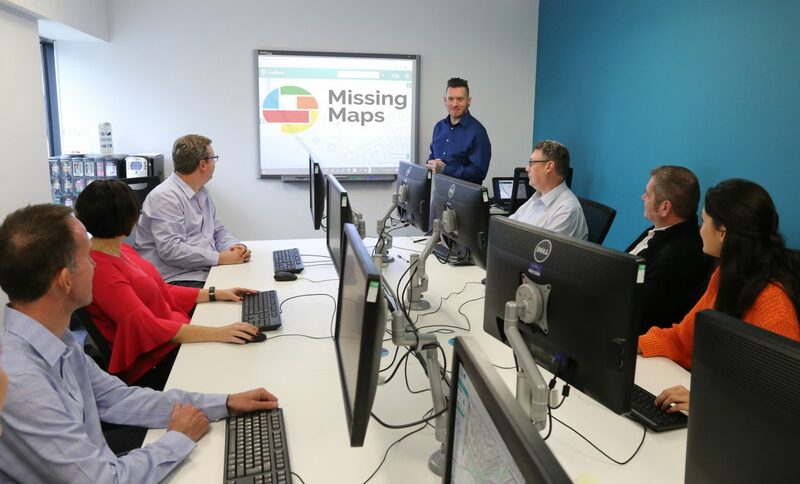 The Missing Maps data capture process involves a task area being selected from a list of “active” Missing Maps projects. Using aerial photographs as contextual information, mapping volunteers then digitally trace road networks, buildings and other landmarks to create map features within their designated project area. The map features become the detailed content of the OpenStreetMap data product. Data is captured, edited and validated online using the Humanitarian OpenStreetMap Tasking Manager, a cloud-based data management tool recently redeveloped by thinkWhere. Globally, there are now in excess of 120,000 mappers involved in capturing and editing OpenStreetMap data. To date, Missing Map volunteers and events, such as the ones hosted by thinkWhere, have seen more than 12 million edits to OpenStreetMap and has put around 7.5 million people on the map. Further information can be found on the company’s website, Facebook, Twitter or by emailing info@thinkwhere.com.